The Talk ‘N Text KaTropa Texters is scheduled for a head-to-head game against the Blackwater Elite at 4:30 P.M. on August 24, 2018 live from the Mall of Asia Arena. 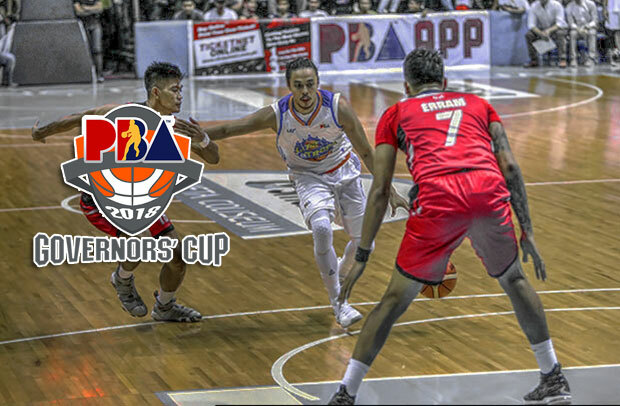 The Elite will start its 2018 PBA Governors’ Cup campaign this afternoon while the KaTropa will attempt to make a back-to-back victories. After their disappointing debut this third conference, Talk ‘N Text immediately made a quick adjustment by sending Mike Glover packing and started looking for his replacement. In the last outing of TNT, they played with an All-Filipino lineup and was successful on beating one of the favorites team this season-ending tourney, the Meralco Bolts and Allen Durham. Terrence Romeo played an all-around game in that match as he teased a triple-double performance with his 23 points, ten assists and eight boards. This afternoon, coach Nash Racela will parade a new foreign player reinforcement. Stacy Davis is a known scoring machine and Blackwater head coach Bong Ramos is already knew what the new TNT import will bring to the table. “Now they have a young and scoring import. They have the advantage over us, but we are going to try and execute what we prepared for. With our off-conference training and preparation hopefully we can get a W,” said Ramos. For the Elite on the other hand, they’ll begin their third conference crusade without the services of JP Erram who is still in Indonesia representing the Philippines for the 2018 Asian Games. Coach Ramos will depend on the on-court leadership of Henry Walker who is with the team since the 2018 PBA Commissioner’s Cup. Blackwater also joined an overseas based basketball league before the start of the last conference and will use the experience they have gained in order to have a good start.